Photo Kathmandu featured the Saudi photographer Tasneem Al-Sultan’s documentary project, “Saudi Tales of Love,” as part of its 2016 show. Al-Sultan, who was born in the United States, educated in England, and currently lives in Saudi Arabia, uses the project to explore the “reality ever after” of Saudi women’s relationships to marriage and love. 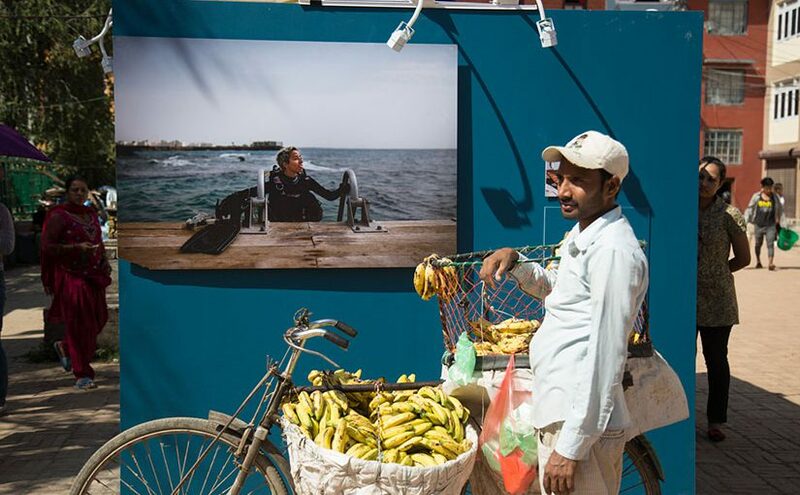 Exhibited in the Nagbahal courtyard of Patan, Al-Sultan’s intimate and dignified photographs of Saudi women show them in their offices, relaxing at home, and spending time with partners, children and friends. Paired with captions, the photographs in “Saudi Tales of Love” paint a complex, rich portrait of what it means to be a woman in Saudi Arabia today. Sophia Rosenfeld spoke with Al-Sultan about the motivation behind this project, the photographer as an agent of change, and the importance of storytelling in her work. Sophia Rosenfeld: Can you speak a little bit about the motivation behind your Photo Kathmandu show, “Saudi Tales of Love”, and how the project has grown? 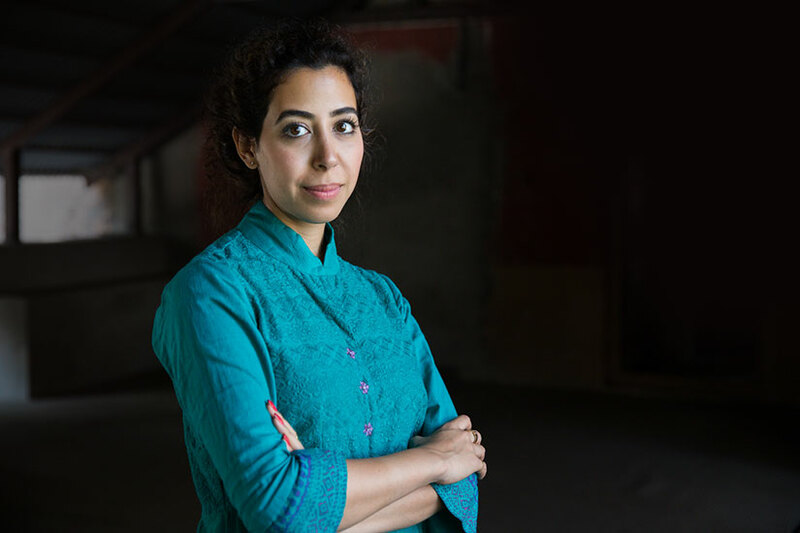 Tasneem Al-Sultan: Initially I was a wedding photographer, and in January 2015 I went to the Chobi Mella photo festival in Bangladesh, themed “Intimacy,” which I immediately connected to. I had just previously the year before gotten divorced, and I had a connection with a lot of the stories being told there. I was amazed by how differently they were photographed. It suddenly opened up doors onto what I want from my own work. Then I was accepted into a grant by the Magnum Foundation along with the Prince Claus Fund and the Arab Fund for Culture. The project I applied with was, from a wedding photographer’s perspective, especially in Saudi Arabia, where we have a lot of control or censorship or authority by the government, society, and religion, how it is that we perceive our own selves as women in Saudi with the “reality ever after”. So that’s how it all started. SR: You’ve shifted from taking photographs of your own life and children and your own home, to also being welcome into other women’s homes and photographing them with their children and partners. How did that transition happen? TA: I started by photographing my grandmother and my daughter because they were the only people I could have some sort of ownership of, waiting and hoping to gain some access to other women. Initially no one agreed to it because they thought it would be published by any outlet and that their stories would be told condescendingly. Now, obviously, I’m just the storyteller. So it really wasn’t about me. I wanted myself to be the introduction, and a person with a lot of questions looking for answers. But the project is not about me. SR: You are gaining intimate access to these other women’s lives. How do you establish contact and what is that process of building trust like? TA: It was after I gave access and showed my own vulnerability that the other women allow me to include them. When I would explain what my story was, those women would open up and begin telling me their own stories and issues and what they wanted to change and how they were perceived. Slowly, women started coming forward. I would either be introduced to them through friends or I would just bump into them. Honestly, I would be invited to a party and then sit next to someone. We would be talking about fashion, and then I would find out that she has this amazing story that I wanted to photograph. SR: You’ve talked a little bit at Photo Kathmandu panels about how photography can be a condescending act, particularly if it’s from an outsider coming into a different society or a different culture. The ways that particularly the West perceives Saudi women can be very fetishizing or condescending, so how does this project try to combat that or begin a conversation with that? TA: I agree with you. I think we all have these misperceptions of these other cultures that we don’t know about. Even in Saudi, if someone is from a little village or a town I’ve never been to, I’ll believe the tales that my friends have told me. So, it’s very natural, and I’m not against it. But I do feel that people should educate themselves and seek some sort of honesty. With each of those women [in my project], I actually only knew one of them before I started, Raneen, the one who was divorced and remarried. But I really hadn’t even met or heard of the other women. So, I had my own prejudices before I met them. I would think: “She’s so privileged, she comes from such an amazing background, she doesn’t have any problems.” Or: “She was divorced twice, she definitely has her own issues to deal with.” So I force myself to live with them for a few days. I do feel bad, like, wow, I stereotyped her, that’s so awful of me. How could I sleep at night? But I also realize that I made myself aware of that. And if I see that, then it’s my job to make everyone understand. The stories of each of those women are really very universal. 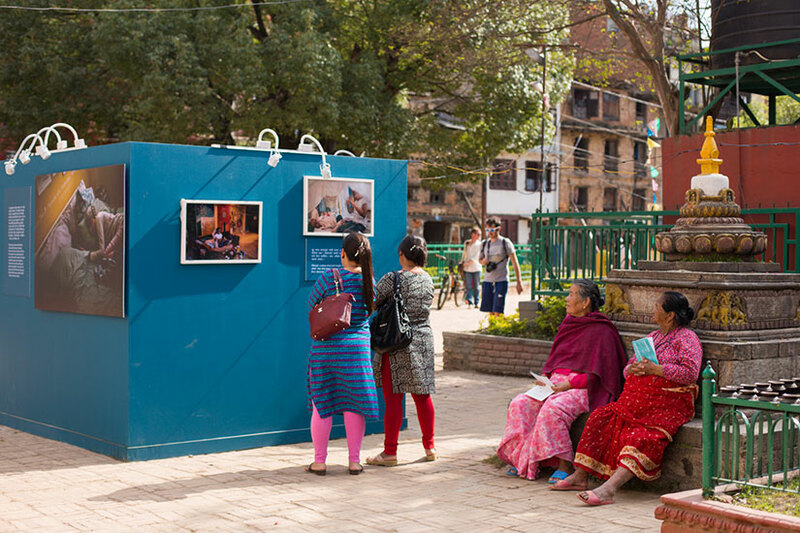 SR: One of the things that struck me about this particular exhibit at Photo Kathmandu is the contrast between the public space of the courtyard and the intimate view we have into these women’s lives. As the artist, can you talk a little bit about how the exhibit space brings out particular points or illuminates certain parts of your work? TA: I trust Tanvi [Mishra, the Photo Kathmandu 2016 curator] with her vision, but I didn’t know how the public would perceive my work. But they’ve been amazing. The feedback I’ve gotten also reinforces that we are very similar, all of us. And I understand that there’s been Nepalis who have had very bad experiences in Saudi Arabia, or in neighboring countries. We do want the same things. We have the same goals in life. We all just want safety and happiness for our communities and families. We want love, we want companionship. So sharing these women, whom they probably would not have had access to— and if they did, it probably wouldn’t be good— has raised awareness for me. I’m very happy to go back home and share the stories of what these people have told me. SR: You are a journalist as well as a photographer, and your photographs all have captions. You choose, I imagine, the captions very deliberately. Can you talk a little bit about that process of selection? TA: I’m very inquisitive. I ask questions of everyone. I have friends who mock me and say, “Isn’t an image supposed to be equivalent to a thousand words? Why do you have to add another thousand words?” But I use captions to nudge. We do all have a moral compass, but sometimes it’s stuck. I’m also questioning myself, so I sometimes answer, or I sometimes leave people to try to answer me. Sometimes, yes, an image is better than a thousand words. But what if we can use both of them? SR: So, as a last question: I’m interested in hearing about next steps for you, and other projects that you may have in the works. TA: I want to add more stories to this same project, “Saudi Tales of Love.” Saudi women have started coming up and wanting to be included, which is amazing. It’s a therapeutic journey for us all. While I’m doing all of that, I’m also working on a project I just started a few months ago which focuses on expats in Saudi, as well as domestic workers who are not Saudi. I want to photograph these extreme opposites: Both groups have lives in Saudi Arabia, but they’re also not really becoming a part of it. They’re all there for financial reasons, maybe something else, but really they’re all going to go back home. In both cases they’re not part of our culture: We haven’t accepted them, and they don’t want to be part of us anyway. But they all have something we don’t have. For expats, they have access to amazing compounds, parties, alcohol. And it’s the same thing for workers. Even though yes, there is a lot of stereotyping and racism, they’re coming to save money to send back to their family. They also have things we don’t understand. So I want to remove all the layers of what our misconceptions can be, and see if there’s something we can all relate to.